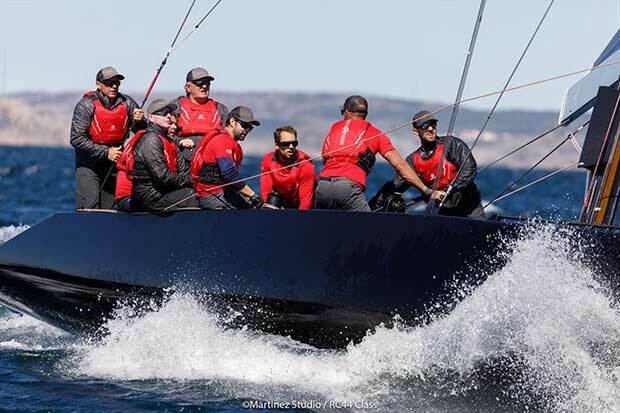 Torbjörn Törnqvist’s dark blue RC44, Artemis Racing, with the American Star sailor Andy Horton on tactics, was the top boat on the second day of the class’s Marstrand Cup. 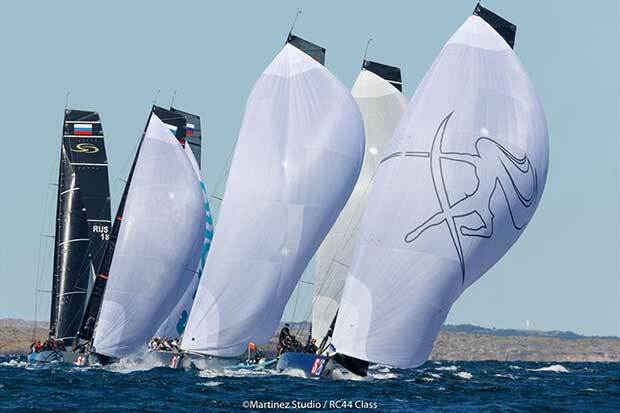 In sparkling conditions on Marstrand Fjord, the high-performance Russell Coutts-inspired all-carbon monohulls flew upwind and down over three competitive races in a fresh northeasterly breeze. Artemis Racing scored a second in the first heat of the day and followed that up with a race win and a fourth in the final heat – race six of the scheduled 12-race series which continues until Sunday. While Igor Lah’s Team CEEREF continues to lead the regatta with Artemis Racing second overall – up four places after day one – and Bronenosec Sailing Team third, the ranking is now very tight with the top-four boats covered by just two points. Törnqvist, who has been racing in this exceptionally competitive class for 10 years, says some new crew members this year has given the team “fresh eyes” on the racecourse and his team has been looking at all aspects of its game, to good effect. “We have worked through what we can do better and it looks like we have found a bit of extra speed definitely upwind, for sure, which was where we were struggling, particularly in the breeze,” said Törnqvist. Also on form today was Nico Poons and his crew on Charisma (6,2,1) who are sixth overall. Poons reckons a small change in the way they trimmed this very tweaky boat upwind, produced more speed and this, in turn, gave his tactician, Ray Davies, a bit more scope. “You need more speed to give the tactician room to decide what to do and that’s what happened,” he said, grabbing a coffee in the RC44 hospitality tent after a hard day on the racecourse. The third best performer today was Vladimir Prosikhin’s crew on Team Nika (3,6,2), who now lie fourth overall, despite what Prosikhin said were a lot of “mistakes and problems” in Race 5, the second of the day. “We didn’t go that well on starboard tack from the very beginning, so we lost a lot of positions,” he said. Follow the racing live at RC44.com.